Well over 35 years on, and yes, you can still buy a new Golf but just like Daniel Craig’s James Bond, it’s now in its sixth incarnation. Everyone knows how tough it is to make the sequels as good as the first one, just look at the Rocky Movies. Whilst there were six Rocky movies, unlike Rocky Balboa, this new Golf isn’t going to have to fight too hard to win our hearts, as it’s pretty much entering the ring as the undefeated champion from the very start. OK, so no disappointing sequel here and I am not going to crack all the “A Long Time Ago in a Galaxy Far Away” jokes, but fact is a long time ago in a place called Wolfsburg in Germany, a motoring legend was born which went on to sell over 26 million cars worldwide and its pretty certain that legend will continue to grow with the launch of the new M6 Golf, which is arguably, the best Golf ever. Whilst the name has stayed the same, in each incarnation, the Golf has always changed in the way it looked, but that’s up to now, because the MK6 Golf, at first glance, looks pretty similar to its predecessor and you could very easily mistake it for its older MK5 brother, or at least you could, until you see them side by side. Volkswagen invited us to test the new car on the streets of Berlin recently so we headed east to take a look at it and talk to the people who made it. I will be honest, before we went, we figured OK, it’s a revision, and it’s a facelift, albeit, a facelift of an already good car, so we knew it was going to be just fine. That’s what we felt, but we were not at all prepared for just how fine this new Golf would be and we hadn’t appreciated that a massive 60% of its components were all new with the roof being the only body panel carried over from the old MK5 Golf. On that basis, and for our money, the new Mk6 Golf really does deserve the tag of “The All New Golf”. So the Golf Mk6 is no facelift, but cleverly, what VW have done is stuck with the things that we all loved about the Golf, and junked the bits that were getting tired or we didn’t like, and they have come up with a car which makes you wonder just what more they will be able to do with the Golf, next time is due to be replaced in 5 or 6 years down the road. So how has it changed? Well, we have all got older, we have all grown up a bit and in the process, we have probably all become a little more sophisticated, and a little smarter. Well that’s exactly what’s happened to the new Golf. Even if you are not a petrol head or engineer, just looking at the fit and finish of this new car tells you it’s a high quality thing, but it’s wonderfully simple, it’s clean, and it just exudes class and elegance and the un-fussy, uncluttered styling is just so bang on the money, and so bang up to date. You are not going to disappointed on the inside of the new Golf either and whilst I guess it’s not surprising that it’s got a real Audi feel about it, it does undoubtedly feel like an expensive car, but the simplicity of the exterior has been carried over to the interior and every thing just looks so proper, so functional, conveying a real sense of quality, and sitting behind the wheel is a pretty damn nice place to be. So OK, in terms of it looks, both inside and out, this motoring icon has managed to evolve even further, and to become even nicer, but is this all for real, or just a Gok Wan style makeover, and the only way for us to find out was to jump in and drive it. Our drive experience was a little odd, in as much as we weren’t given any real instructions on where to go, we were just taken to a huge car park in Berlin, and told to pick a car and to sort of go “that way” and despite a few nervous moments as we poked our nose out into the German rush hour traffic, we needn’t have worried, for with true German precision, the Golf’s colour screen satellite navigation system had already welcomed us aboard and was now faultlessly talking us through the next 170km of our Golf Mk6 experience. If you have read any of our road tests before, you know we don’t go into huge technical detail about every aspect of the cars we test. We just try to give a flavour of the car and let you know what we felt when we first saw it and how we felt about it after drove it. We really think that’s what matters most, and whilst you are going to need to know what its costs, how fast it is and what mpg you are going to get, outside of that, its not was it says on paper that matters, but how it stacks up on the road. So what’s it like, well first impressions were that its quiet, really very quiet, and even over Berlin’s old cobbled streets (or should I say Strasse) it was peaceful, comfortable and refined and allowed us to really feel relaxed from the word go. It was easy to get comfortable and get both the seat and the steering wheel to a place where your feet felt at home on the pedals and our bum feels at home on the seat and indeed, your hands were taken care of as well, as the steering was positive and nicely weighted; whilst when it came time for your feet to do some work, the brakes were all you could want them to be. We have always felt safe when we have driven Golf’s in the past, because they are just so composed under most conditions and that naturally inspires confidence and that’s no difference with this car either, but VW have tweaked and stiffened the cars suspension and improved it even further. There is just stacks of grip, and the cars improved ESP system, ABS brakes and adaptive chassis control really keep you out of trouble and lets you push the Golf into a tight corner knowing that its going to deliver for you without any nasty body roll or understeer. Confidence in this car is boosted further as even if the worst happened, its bang on the button with safety features also, as all new Golf’s come with seven airbags including knee and curtain airbags and you don’t have to neglect the rear seat passengers either as you can even specify the option of rear head airbags. Whilst we said we won’t get technical, here are the ‘basic’ bits you will be interested in. The new Golf is going to come in 3 flavours, the lead-in S version, the nicely specified SE version and of course the range topping GT versions (which the Golf is already so famous for) and all models will be available in 3 door and 5 door versions, albeit, we think the 3 door version is by far the prettier car. There will be a six engine line-up from UK launch, four petrol and two diesels. Petrol engine choices are a 1.4-litre 80ps, 1.6-litre 102ps and two 1.4-litre TSI units with 122ps or 160ps. The oil burners from launch will be a new 2.0-litre TDI 110ps and a higher powered 140ps version, but other diesel engine options are going to be available later in 2009, which include a 1.6 88ps version and a fire breathing 2.0 litre 170ps version. VW tell us they will be able to offer you a diesel Golf by mid 2009 which has CO2 emissions of under that critical 120g/km at 119g/km, but amazingly, by year end, there will be a sub 100g/km Golf you can buy and that’s pretty phenomenal by anybodies standards, so for those of you that want to save the planet, just look out for the word ‘Bluemotion’, if however, you just want to have bucket loads of fun, look out for the letters ‘GT’. Prices start at £12,875 on-the-road for the 1.4-litre 80ps three-door S spec model and up to £20,537 otr for the five-door 2.0-litre 6-speed DSG GT TDI 140ps diesel, but it’s the mid range SE with the 110 ps TDi that is expected to make up the biggest part of their sales, with an anticipated 38% of buyers being attracted by the low CO2 of just 128g/km and the potential 57.6mpg. To make the engines work, there will be a choice of a five or six speed manual, along with a six, or seven speed DSG automatic boxes and we must say how impressed we were by the mega quick gear changes when we were using the paddleshift but even running it in auto mode, the shifts were fast & seamless. We tried a number of engine options including the 1.4 TSi Twincharger which despite its small capacity, had torque right through the rev range and unbelievably can make the 0-60mph sprint in just 8 seconds. We also tried the 2.0 litre petrol and 2.0 litre diesel units, with the 140ps diesel being the unit we liked the most, despite it taking a little longer on the 0-60 run at 9.3 seconds. Summing up, we went to Berlin to look and test what we thought was going to be a facelift of an already decent car, but came back really glad we had the opportunity to make friends with this new Golf and recall why we had always really loved the old Golf so much. We wondered if making the trip would be worthwhile as we already had our pre-conceived ideas, but fact was, this was one of the most worthwhile events we have attended for some time as I think we had all forgotten just how good the VW Golf is and yes this new car has changed, and it’s grown up, but it’s resisted the temptation to go through a mid-life crisis and have a piercing or a tattoo, and yet it hasn’t become stuffy or staid either. Will the new car be as successful as its predecessors, well motorists are often loyal to the brand they drive and the Golf already has legions of fans who would buy this car even if it wasn’t so good, but fact is it is good, very good indeed will ensure that current Golf drivers don’t have to look any further when the time to change comes. 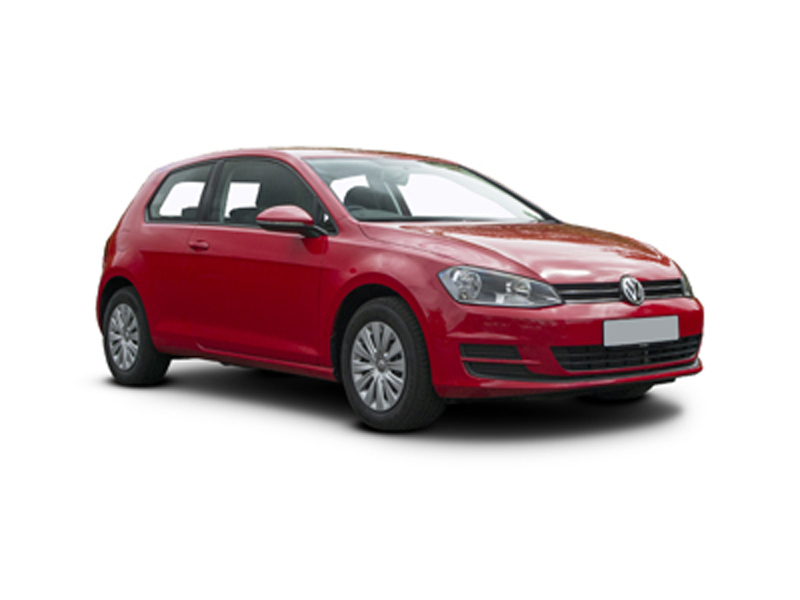 For a quotation on the Volkswagen Golf any other vehicle, please contact us.